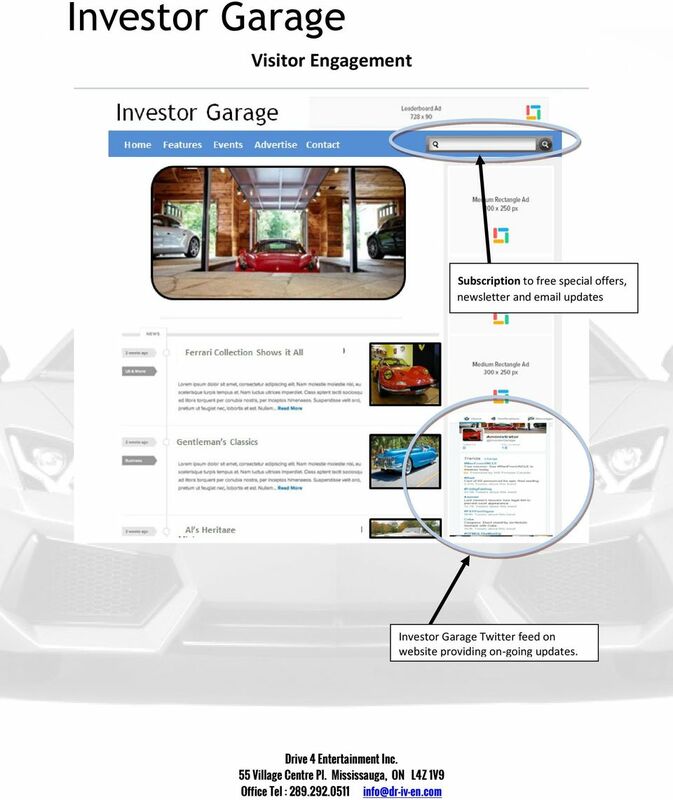 Download "Investor Garage. 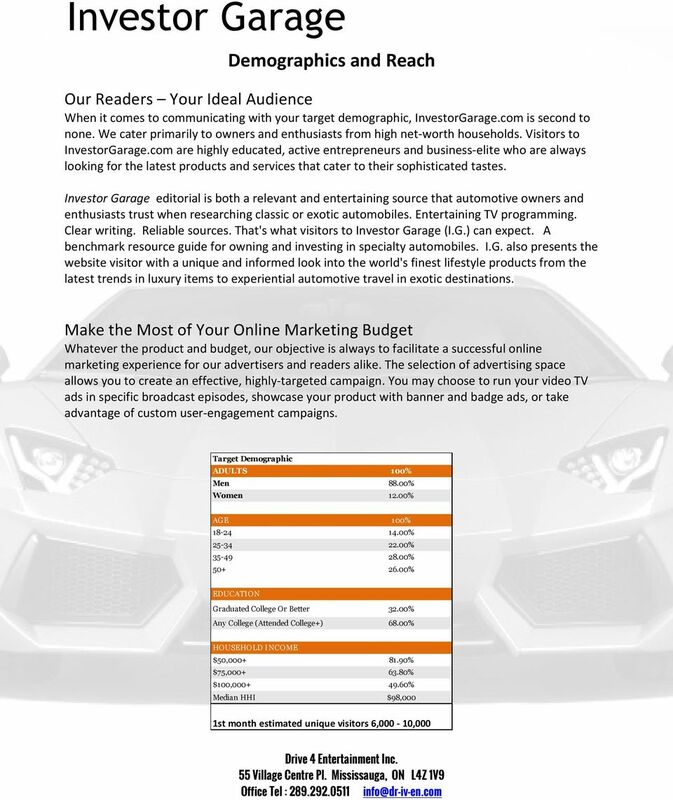 Marketing & Advertising"
2 Investor Garage A Web TV series supported by an online information portal for luxury, classic and exotic sports car fans. 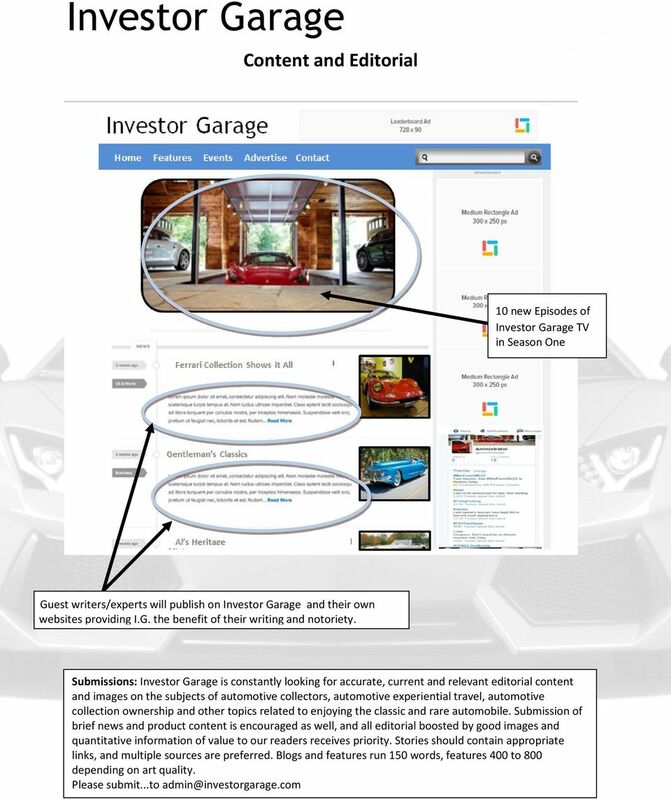 Investorgarage.com will be anchored by the new reality TV series, Investor Garage, plus will contain articles, updates, car auction results and information of value to the automotive collector and enthusiast. 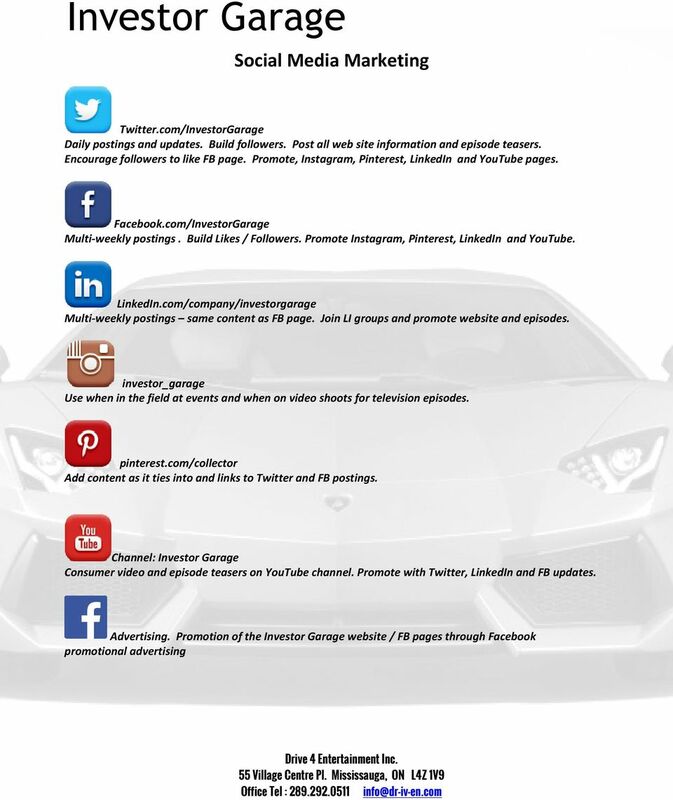 Investor Garage TV Each episode of Investor Garage TV will follow our host, Jim Martyn, as he visits with an owner of a collection of rare and exotic automobiles. He ll learn about the history of some of the vehicles and candidly ask what the whole collection might be worth. Examining the collection will include going for a ride in one of these special vehicles to give the viewing audience a true sense of the pleasure of ownership. 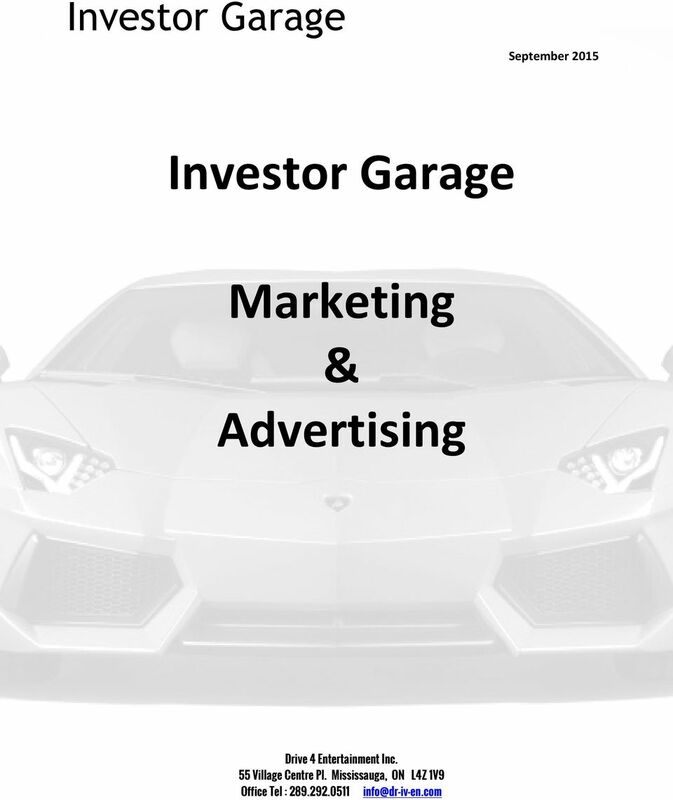 5 Visitor Engagement Subscription to free special offers, N newsletter and updates Investor Garage Twitter feed on website providing on-going updates. 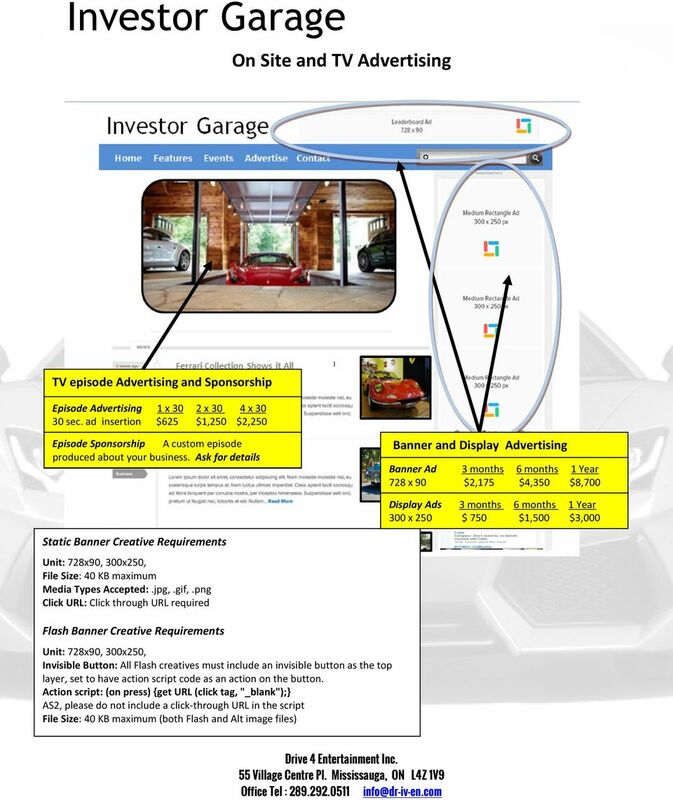 Target Marketing 102 What s Next? 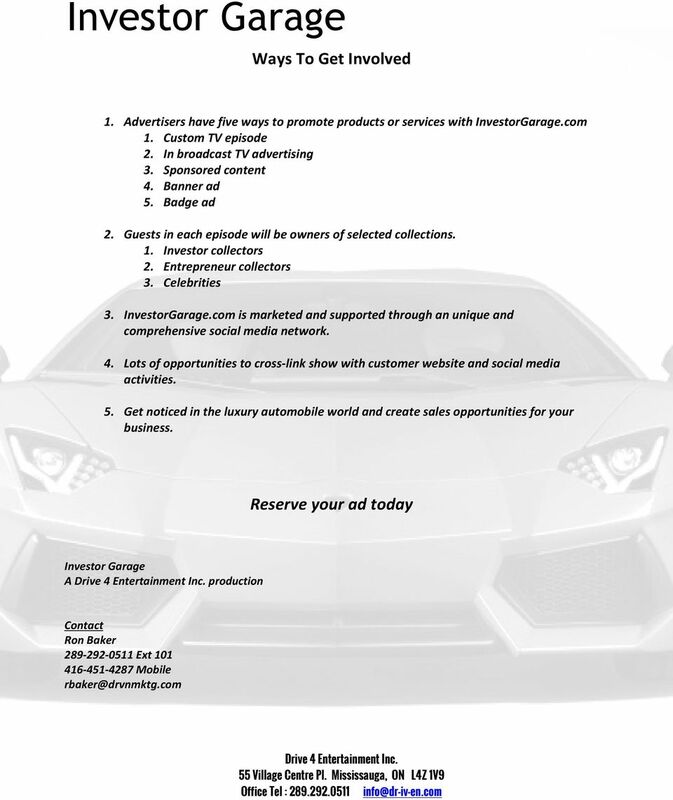 Echuca Moama Regional Tourism ADVERTISING OPPORTUNITIES EMT MEMBER ADVERTISING OPPORTUNITIES Echuca Moama Regional Tourism offer many ways for our Members to participate in exclusive advertising opportunities. GETTING STARTED A PINES UP NORTH WORKBOOK Part 1: Define Your Purpose What are five this things you re passionate about? I m passionate about design, pugs, blogging, food, and business. 1. 2. 3. 4. 5. OIL & GAS TECHNOLOGY. Digital Media Pack. Overview RATES WITH EFFECT FROM JANUARY 2015. media INfOrmATION. www.oilandgastechnology.